Anyone want to guess what the USA government was doing with a 11,000 pound vehicle in space for 693 days?? and i'm supposed to believe in free press with no real facts written about this???? 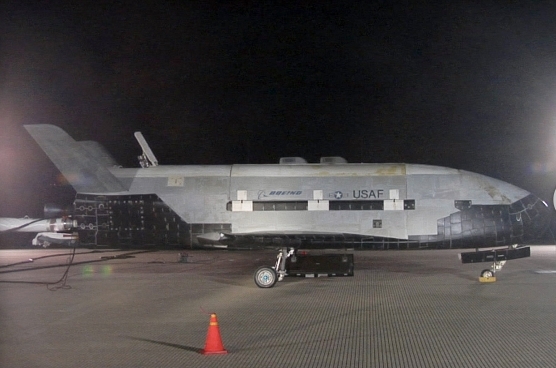 This photo shows the first X-37B, designated OTV-1, on the runway at Vandenberg Air Force Base in California on December 3, 2010, just after it returned from its debut trip into space, which lasted 224 days. As it turns out, that was just a warmup act. The second X-37B, OTV-2, touched down on Earth at 5:48 a.m. PT on Saturday, June 16, to end its maiden mission, which began with a liftoff on March 5, 2011 -- meaning it was orbit for 469 days, easily doubling the record of its older sibling.